In the first full redesign of the iconic Nissan Z® since its re-introduction as a 2003 model, nearly every piece and component has been rethought or redesigned – shorter wheelbase, greater use of lightweight body materials, new engine with more horsepower and improved fuel economy, a new 7-speed automatic transmission with paddle shifters, a world’s first synchronized downshift rev matching system for the manual transmission, new high quality driver-centric interior and new available technology features. 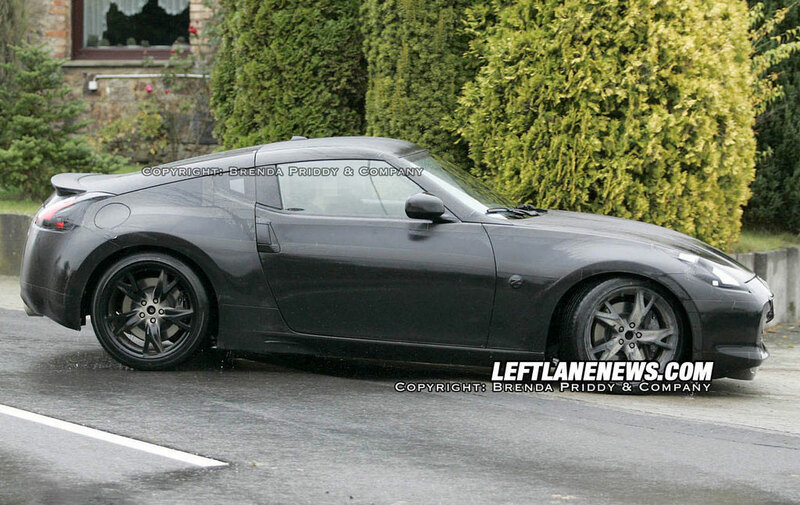 But to get the full measure of the new model, now designated the Nissan 370Z, one need look no farther than the subtle upswept line of the new rear quarter window. Quintessentially Z®, the window harkens back to the original 1970 240Z – a car that revolutionized the sports car world with its unique combination of performance, style and, especially, value. The new 370Z solidifies the Z®’s position as one of the most desirable sports cars on the planet – at an affordable price – bringing true sports car performance to everyone. “The new 370Z lives in the sweet spot of performance, style and value, a position that Nissan invented with the original Z®. It’s an authentic sports car that you don’t have to make sacrifices to own – or drive everyday,” said Castignetti. 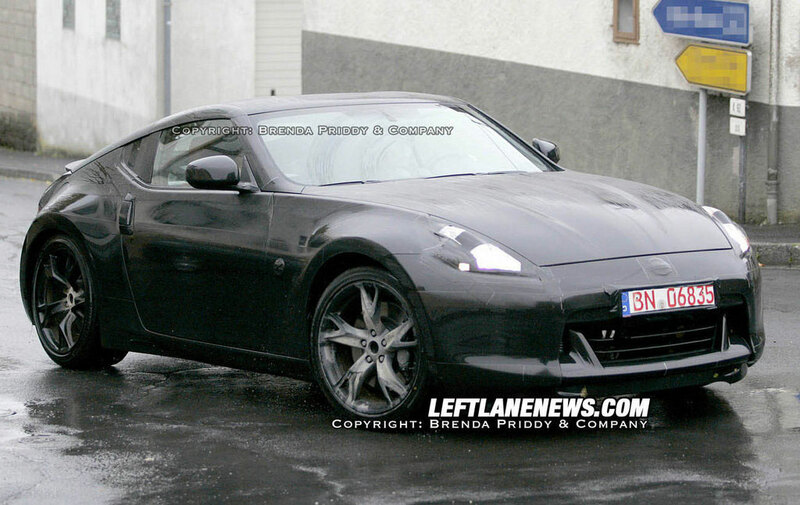 The new 2009 Nissan 370Z Coupe model is scheduled to go on sale in North America in January 2009, followed by a new 370Z Roadster for the 2010 model year. 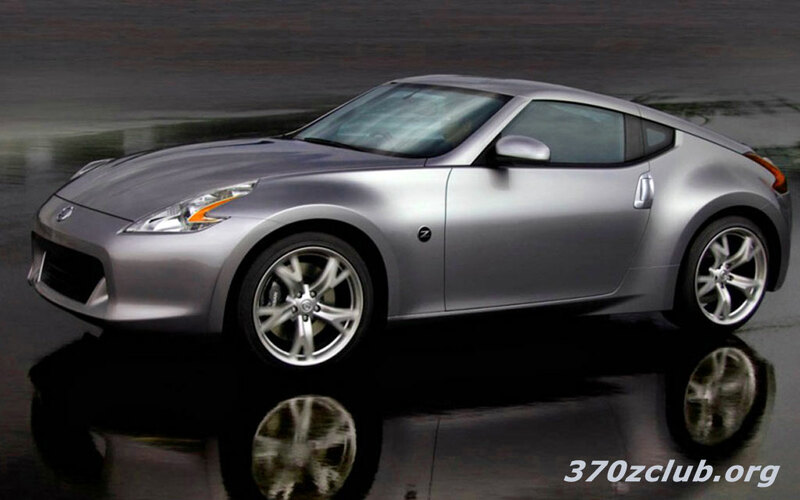 The 2009 370Z’s dynamic new styling offers dual benefits – a more aggressive appearance and a lighter, tighter structure for enhanced performance. The new Z’s wheelbase is nearly four inches shorter than the previous generation Z® (100.4 inches versus 104.3 inches), accomplished by moving the rear wheels forward in the 2nd generation FM platform, while overall length is reduced by 2.7 inches (167.2 inches versus 169.8 inches). At the same time, the overall width been increased by 1.3 inches, the rear track by 2.2 inches and overall height reduced by 0.3 inches, giving the 370Z a much more aggressive stance. The more compact exterior dimensions and expanded use of lightweight materials help reduce weight. For the first time, the Z® features aluminum door panels, along with an all-aluminum hood (the previous aluminum hood design utilized steel reinforcements) and an aluminum hatch. 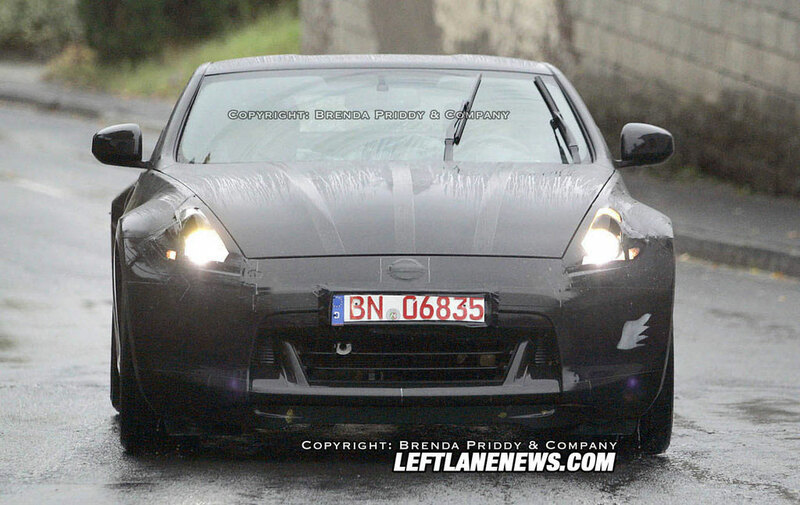 The coefficient of drag is 0.30 (0.29 with the Sport Package), the same as the previous generation 350Z Coupe. The new Z® also maintains the previous generation’s zero front lift and zero rear lift when equipped with the rear spoiler, thanks to extensive aerodynamics efforts – including an “inverse area” front bumper design which smoothes the flow of air to the sides of the vehicle, while the rear design maximizes the control of air flow from the roof to the rear hatch. In addition, the front overhang was extended 1.2 inches and more than 200 rear quarter panel patterns were made and wind tunnel tested to counter the negative aerodynamic effects of shortening the wheelbase (versus the 350Z). 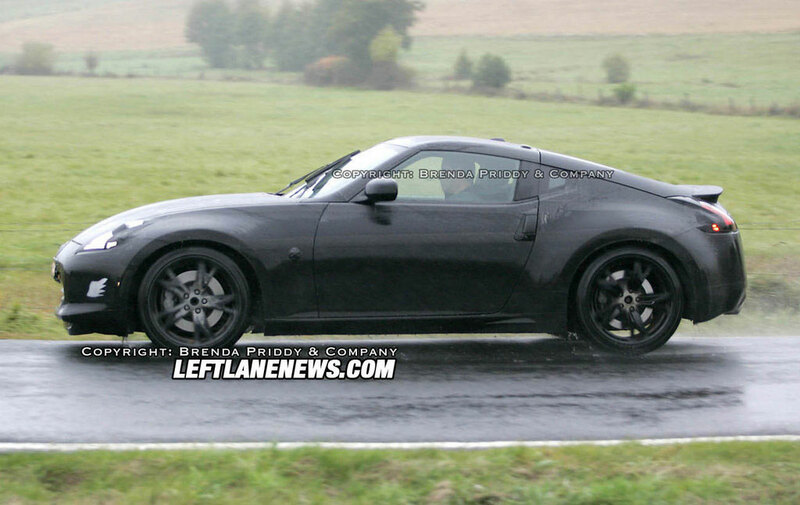 “The 370Z incorporates all of the signature Z® elements – the long nose, canopy cockpit, muscular fenders, vertical door handles,” said Castignetti. “What’s new is a more wheel-oriented, organic design with more of a sense of precision and agility.” One of the most distinctive features of the bold new exterior design is the headlight/taillight treatment, which features a fierce “boomerang” shape. High Intensity Discharge (HID) bi-functional xenon headlights with auto on/off feature are standard. The interior design of the new 370Z continues the Z® tradition of enhancing driving pleasure, no matter what the road or traffic conditions offer. “As an Everyday Sports Car, every aspect of the interior needs to address two needs – support and enhanced driver performance during spirited driving and offer high levels of comfort and utility for normal commuting and around-town activities,” said Castignetti. The instrument panel retains the traditional 3-pod cluster with oil temperature, voltmeter and clock, while the speedometer and tachometer now include an “initial sweep” function, coming alive when the Z® is first started. The holding layer includes the seats, knee pads and door trim support. The driver’s seat is uniquely different from the passenger’s seat, with lower seat cushion cut-outs on the sides where the thighs rest – allowing the driver to push on the pedals without the seat fighting them. The seat also features an improved frame that helps it to better hold the driver in place during cornering. It also offers a 0.4-inch lower hip point than the previous Z® driver’s seat. Standard interior comfort and convenience features include Nissan Intelligent Key™ with Push Button Start, power windows with one-touch auto up/down feature, power door locks with auto-lock feature, a center console box with a new non-intrusive cover design, automatic climate control, rear window defroster with timer, two 12- volt power outlets, four cupholders (two in door panels, two in center console), dual overhead map lights and a AM/FM/CD/AUX 4-speaker audio system with illuminated steering wheel-mounted controls. The 370Z Touring model adds standard 4-way power adjustable heated synthetic suede and leather-appointed sport seats with adjustable lumbar support, 6CD Bose audio system with eight speakers (includes dual subwoofer) and MP3/WMA playback, XM® Satellite Radio (XM® subscription required, sold separately), Bluetooth® Handsfree Phone System, HomeLink® Universal Transceiver and passenger seat map pocket. An optional Navigation Package includes the touch-screen Nissan Hard Drive Navigation System with XM NavTraffic® with Real-Time Traffic information (XM® subscription required, sold separately), 9.3GB Music Box Hard Drive and Interface System for iPod®. Since so many aspects of a sports car’s performance come down to the simple formulation of power-to-weight, the engineering teams behind the development of the new 370Z made that their priority focus. On the weight reduction side of the equation, they put the new Z® on an extremely restrictive diet. Beyond just the pounds shed with the body-in-white, every component throughout the vehicle was scrutinized. For example, fuel tank weight was reduced by 13.9 pounds, the exhaust system by 3.8 pounds, the audio system by 3.5 pounds and the 19-inch wheels by approximately seven pounds each for the fronts and six pounds for the rears – an estimated 225 pounds total. Along with the reduced weight, the center of gravity was lowered through use of a lower engine positioning (-0.6 inches) and lower driver hip point (-0.4 inches). Rotating mass was reduced with a shorter carbon-fiber composite driveshaft. All of these weight savings were needed, of course, to counter the added weight of the Z®’s enhanced body structure and new technology and safety features. 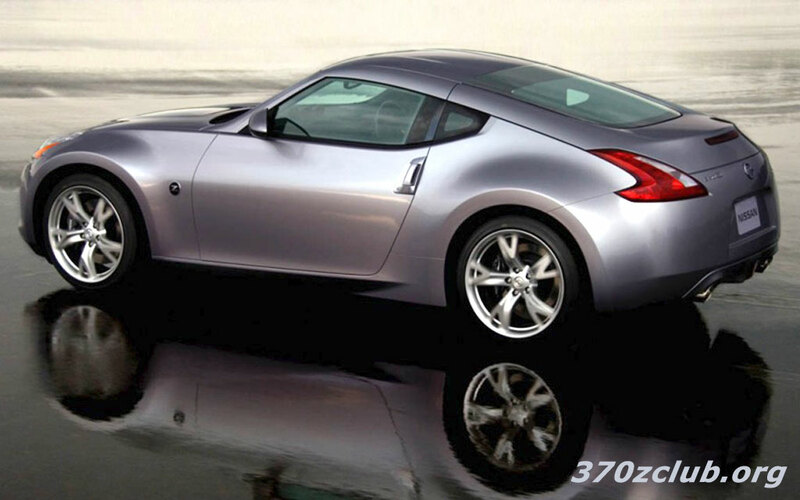 The net weight reduction is 95 pounds for the 2009 Nissan 370Z over the comparable 350Z Enthusiast model. On the power side of the targeted class-leading power-to-weight goal, the new Z® picks up 26 horsepower utilizing the fourth generation of Nissan’s award-winning VQseries V6. The new 3.7-liter VQ37VHR engine with VVEL (Variable Valve Event and Lift) is rated at 332 horsepower @ 7,000 rpm and 270 lb-ft of torque @ 5,200 rpm, compared with the previous 3.5-liter V6’s 306 horsepower @ 6,800 rpm and 268 lbft of toque @ 4,800 rpm. The previous generation Z®’s suspension has also been rethought to reduce weight, improve strength and improve camber change and lateral displacement. The doublewishbone front suspension (replacing the lower multi-link setup in the 350Z) uses lighter forged aluminum arms and a lightweight rigid aluminum-alloy cradle, along with a lighter stabilizer bar with a 35 percent improved lever ratio. The standard 370Z wheel and tire package features 18x8.0-inch front/18x9.0-inch 5- spoke lightweight aluminum-alloy wheels with P225/50R18 front/P245/45R18 rear Yokohama ADVAN Sport maximum performance summer tires. The Z®’s already advanced braking system has been upgraded to include improved overall brake feel, better fade resistance and improved NVH. With adoption of the new variable ratio brake pedal, pedal stroke feel is more direct. The standard 4- wheel vented disc brake system includes Anti-Lock Braking System (ABS) with Electronic Brake force Distribution (EBD) and Brake Assist (BA). The optional Sport Package includes Nissan Sport Brakes with large diameter 14.0-inch front and 13.8- inch rear rotors (versus 12.6-inch front/12.1-inch rear standard rotors) with 4-piston front and 2-piston rear aluminum calipers. The 370Z Touring adds heated leather-appointed power seats, HomeLink® Universal Transceiver, Bluetooth® Hands-free Phone System, 8-speaker Bose® audio system, XM® Satellite Radio (XM® subscription, sold separately) cargo cover and aluminum pedals to the long list of standard Z® features and equipment. Two option packages are offered: the Sport Package, with 19-inch RAYS forged wheels and Bridgestone Potenza tires, aerodynamic front and rear spoiler, larger Nissan Sport Brakes, SynchroRev Match (6-speed manual transmission only) and Viscous Limited Slip Differential; and the Navigation Package, with Hard Drive-based Nissan Navigation System, 9.3GB Music Box Hard Drive and Interface System for iPod®. Information © Copyright © 2000-2015 by NICO - All rights reserved. 370zClub/NICOclub assumes no liability for damages, nor injury for anyone following the information contained within this site nor any affiliated site. Anyone utilizing this information does so at their own risk. Material may not be copied or reprinted without written permission.